Last night, as is often the case on Wednesdays, I watched my son in his karate class. The classes shift occasionally, so it happened that on this night, the class I watched was a special one devoted to presentation and building confidence. It seemed a little looser and more fun, and I was happy to see my son engaged (though still a little embarrassed when called to perform in front of the others). 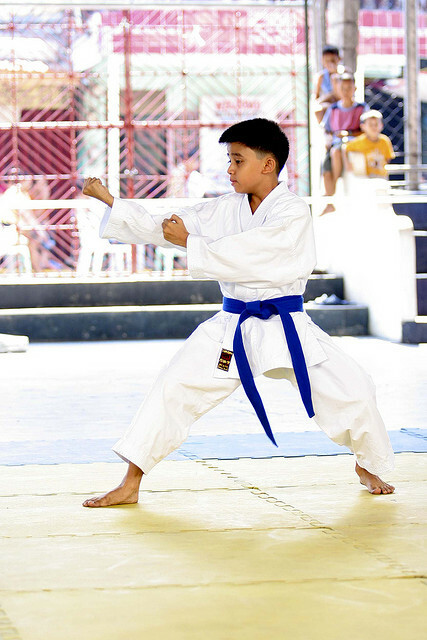 Many martial arts have a segment of the practice devoted to mastering memorized forms, sometimes called katas. They’re a choreographed series of steps meant to serve as a training routine and also as a presentation unto itself. At each of his belt tests, my son has had to present various forms, which are judged by the instructors. In the final fifteen minutes of this particular class my son’s instructor asked the students to invent their own form. Ten steps—anything you want!—now go!